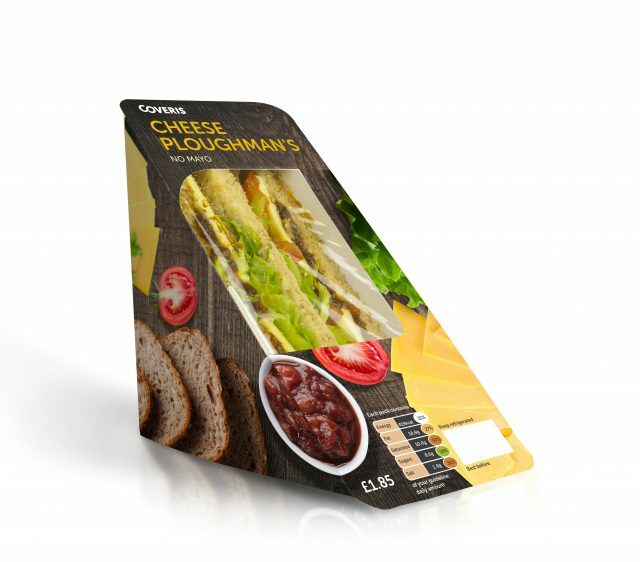 Coveris unveils a plastic-free sandwich skillet that is more easily recycled within the UK infrastructure. According to the British Sandwich & Food-to-Go Association, more than 3.5 billion sandwiches are purchased from UK retail or catering outlets each year. With many of these eaten on-the-go and recycling and waste infrastructures varying from region to region, the recyclable elements of sandwich packaging that reach the appropriate waste processing channels can be limited. The new plastic-free sandwich skillets combats the limitations of a developing recycling infrastructure and giving the environmentally-conscious consumer piece of mind that wherever they dispose of their sandwich packaging, there will be no negative effect to the environment. With like-for-like shelf life and high clarity film properties, the company says sandwich manufacturers, consumers and retailers will continue to experience the functionality, presentation and product freshness benefits associated with traditional skillets. However, the use of a transparent film made from sustainable, non-food resources, enables skillets to either be recycled in mixed paper bins or disposed of as general waste and break down within 12 months.